The grocery store can be easily become the enemy of your carefully crafted budget. The monthly grocery bills is often one of family’s biggest expenses, and if you’re like most, you would probably like to cut yours back a bit. Check out these three simple ways to save on your grocery bills and keep your budget under lock and key. Just going to the store and buying things that catch your eye is a recipe for grocery bills disaster. Often, you’ll get home and find you missed something, or that nothing you bought goes together into good meals. Then it’s back to the store to purchase the missing ingredients. The solution? Make a meal plan and shopping list. Take a few minutes and write down your breakfasts, lunches, dinners, and snacks for the next week or two. Then, using that plan, figure out what you need to buy and write a list. Once at the store, stick to your list. Your grocery bills will thank you. Check out what’s already in your cupboards and plan meals accordingly. If you have canned chicken and dinner rolls, make one of this week’s dinners chicken sandwiches. This way you won’t have food languishing away in the pantry or rotting in the fridge, and you won’t need to buy a bunch of extra ingredients. Once you have a meal plan, you can get everything you need for a week or two. It’ll be easier to resist the urge to stop by the store for extras since you know there’s plenty at home. Less trips to the store means less opportunities to spend. Try to limit yourself to once a week and only buy snacks in bulk or that will last a while. Bulk is your friend – especially when the item is something that will keep a long time. The price per unit of bulk food is often less, so even though you might spend more at one time, ultimately you will be saving. Products like Klosterman Baking Company pita and flat bread can even be bought online so you save a trip to the store as well as getting bulk savings. Worried about that one-time cost? Try shaving a dollar or two off your bill each trip to the store. At the end of the month, use that money to buy something in bulk. Next time you won’t have to purchase that item, and you can use the savings to put towards buying something else. Saving on your grocery bills doesn’t mean sacrificing the food you love, or spending hours clipping coupons. Start with a plan, use what you have, shop less, and buy in bulk and see how well your family can eat while saving. 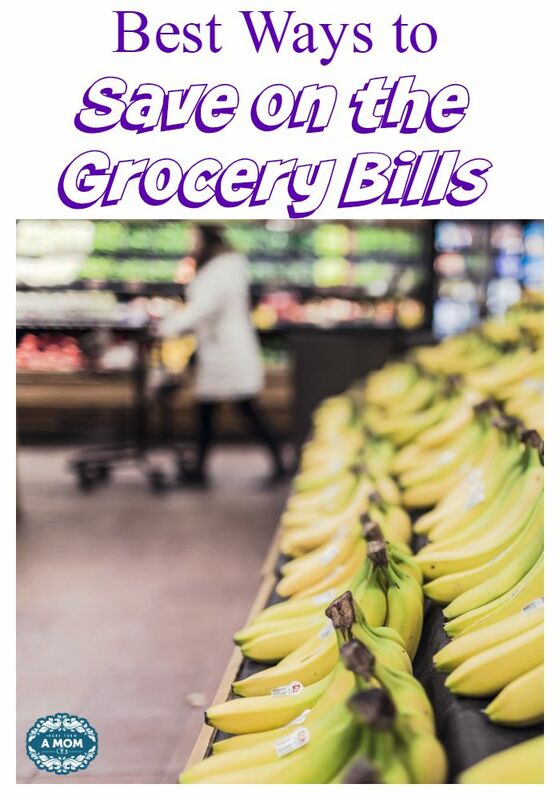 What are ways you save on your grocery bills? These are great tips. Buying in bulk and meal planning are two of the best ways I’ve found to save on groceries. I try not to go to the store without a list. If i do I’m doomed to buy unwanted foods. We do like to buy in bulk. Thanks so much for sharing these great tips! I have three kids, so any way I can save on groceries is always welcome! Melissa Pezza recently posted…Back to School with Keen’s kids shoes! I really like the idea of shopping less often. It’s not easy but I think it would make a big difference in the amount I spend!